Should I Order a New Signal Booster Now or Wait? AT&T’s 5G Evolution network (5G E) is not actually 5G, it’s 4G LTE. It’s all just a marketing campaign by AT&T to win more customers who want to be the first on 5G. If you have an AT&T phone and it says 5GE, then any of our 4G LTE boosters will work for you. 5G is coming, but it’s going to take years for each carrier to build out their nationwide networks and for customers to upgrade to 5G capable phones. The existing 4G LTE networks will continue to be supported and improved, likely through at least 2030, and many analysts predict that 4G LTE will continue to handle more connections than 5G through at least 2025. If 5G devices follow a similar path as the upgrade from 3G to 4G LTE, the first phones that stop supporting 4G LTE won't be released until the late 2020’s, at which point, you will need a 5G signal booster. Until then, our currently available multi-carrier signal boosters will continue to support the existing 2G, 3G, and 4G LTE networks, as well as any new 5G networks that are deployed on the existing frequency bands that our boosters currently support. Developing new amplifiers to support the 5G millimeter wave frequencies (28, 37 & 39 GHz) will take years and require the FCC to pass additional measures allowing signal boosters to boost the new frequency bands. As such, we do not expect 5G millimeter wave signal boosters for at least a couple of years. 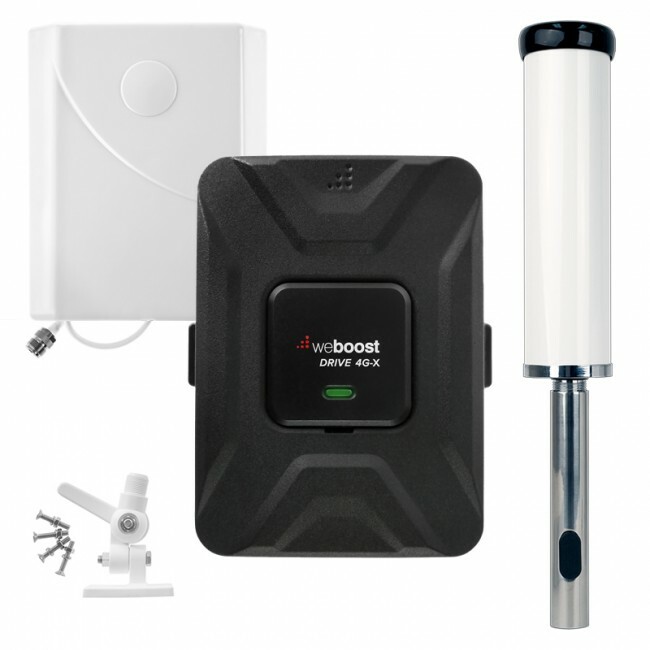 Therefore, if you’re currently in need a signal booster, the best course of action is to purchase one now and then upgrade in 5 to 7 years when the 5G networks are mature and 5G signal boosters are available. Our current signal boosters will also work with any 5G networks that are deployed on any of the frequencies that are currently supported. Due to the time required to pass regulations and engineer a solution for the new frequency bands, we don’t anticipate the release of any 5G specific signal boosters within the next year or two. If you have any questions or if you just want to check and make sure there haven’t been any new developments since we last updated this post, please contact us. Faster Data: 100x faster than the first version of 4G LTE, 20x faster than the current standard version of 4G LTE. More Data: It’s not just faster, but the overall capacity is 100x that of the current 4G LTE networks. More Devices: 5G can handle 100x the number of connected devices as current 4G LTE networks. Lower Latency: Latency is a measure of how long it takes for a device to communicate over a network. 5G networks can have 5x lower latency, which is good for online gaming, connected cars, virtual and augmented reality, and other real-time communication. The 5G NR standard was approved in June of 2018. The first test networks went online in late 2018 with the first production 5G NR networks expected in 2019 along with the first 5G NR compatible mobile devices. How is 5G different from the previous generations? As noted previously, 5G will have faster data speeds, handle more devices, have additional capacity, and lower latency than current 4G LTE networks. Sub-6 GHz 5G is a type of 5G network that runs on frequency bands that are similar or the same as the existing frequencies use by 4G LTE networks. These networks can be deployed using traditional cell towers and cover large areas (10 miles from the tower or more). 5G deployed on these frequency bands will have faster data speeds and some of the other benefits of 5G but on a much smaller scale. When people talk about how revolutionary 5G can be, they’re usually talking about millimeter wave 5G, which will be deployed on the 28, 37 & 39 GHz frequency bands. 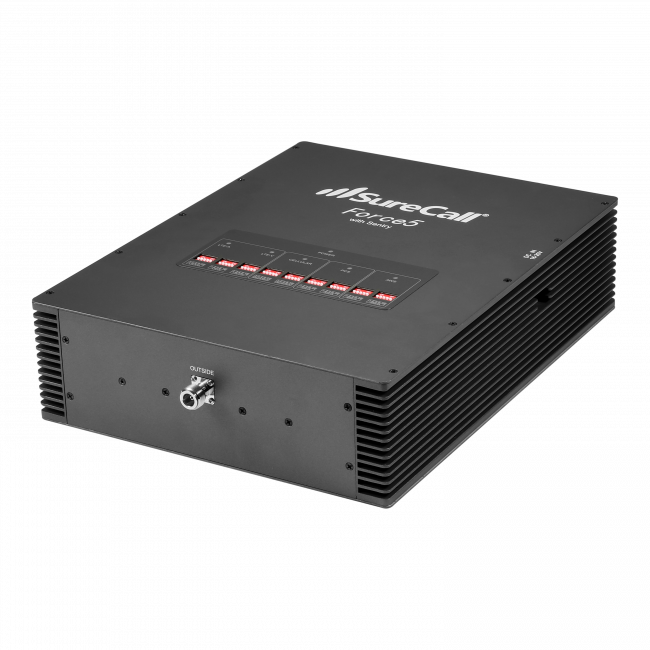 These high frequency bands allow for very fast data transfer rates, low latency, and high capacity, but they are only able to travel a very short distance. For this reason, thousands of mini cell towers, called small cells, will have to be deployed along with an entire fiber network for millimeter wave 5G to operate. For example, while a traditional cell tower can broadcast cell signal up to 10+ miles, millimeter wave 5G “towers” can only cover 1,500 to 2,000 ft. To put this into context, the major cell carriers currently have around 70,000 cell towers to cover the entire United States. With 5G, Verizon has stated that they will need around 10,000 small cells just to cover New York City. How Does Millimeter Wave 5G Work? Millimeter waves cover the 28, 37 & 39 GHz frequency bands that will be used for 5G in urban and suburban areas. Millimeter waves travel much shorter distances than the sub-6 GHz frequencies currently used for cell phones, so while a traditional cell tower can cover 10 miles or further, 5G millimeter wave small cells will only be able to cover about 2,000 ft (0.38 miles). Additionally, millimeter waves are very susceptible to being blocked by buildings, trees, people, rain and just about anything else. In order to provide coverage using these frequencies, the small cells will use new technologies, including beamforming and beam-tracking, which are ways of focusing an RF beam so it can take the optimal path to the end user. If Millimeter Waves are so Challenging, Why Use Them? 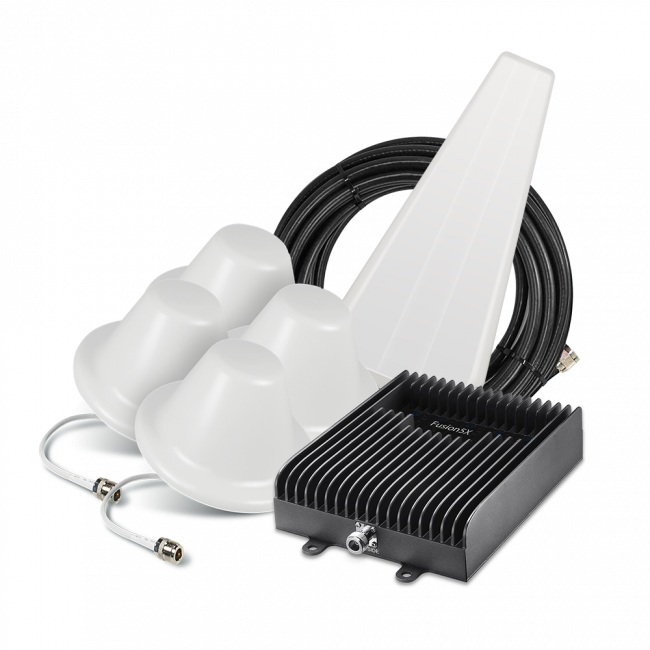 Our current signal boosters support 5 different frequency bands that cover the majority of the existing cellular networks. If you add up the downlink bandwidth for all 5 bands, you get approximately 157 MHz of bandwidth. This is all of the bandwidth the cell carriers currently have available to push data to your phones. The limited amount of available frequency spectrum leads to slower data. Millimeter wave frequencies have 24 times as much spectrum available, which is how millimeter wave 5G will be able to handle so much additional data. When Will I get 5G? Sub-6 GHz 5G will see nationwide deployments starting as early as 2019 and expanding in 2020. T-Mobile plans to deploy its nationwide 5G network running on their 600 MHz (0.6 GHz) network in 2020. Carriers hope to start deploying millimeter wave 5G to as many as 30 cities in 2019 with more coming in 2020. We expect it to take years for millimeter wave 5G to fully reach suburban areas. Millimeter wave 5G will likely never see full nationwide deployment because it would require far too many small cells to cover rural areas. Instead, millimeter wave 5G will likely always be limited to urban and suburban areas where there are enough people using the network to justify the costs. Is 4G LTE going away? Not anytime soon! 5G deployment is going to take years, especially in suburban and rural areas where coverage using millimeter waves will be most difficult. Many analysts have predicted that 4G LTE will remain the dominant network in the US (by the number of connections) through at least 2025. Yes, 5G will likely cost more than your current service. Verizon has said that 5G access will be an extra $10/month on top of an existing unlimited data plan. 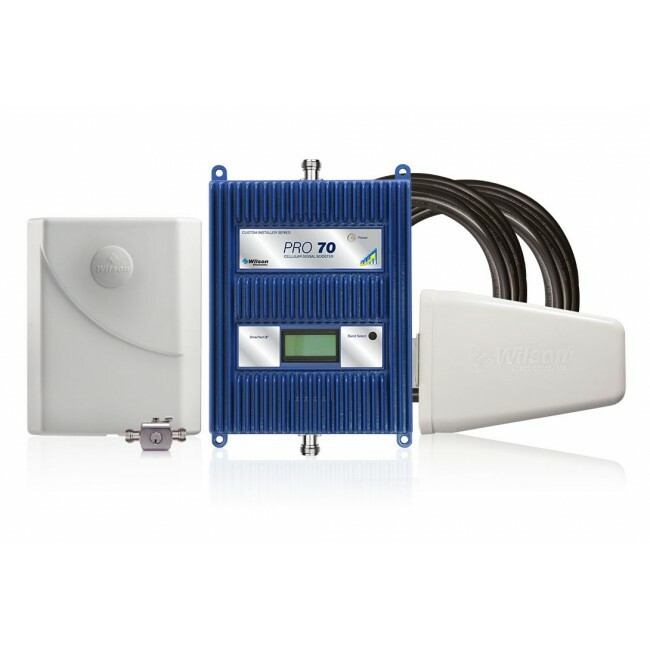 If you're currently experiencing a problem with cellular service and need a cell phone booster to improve your signal, then please either call us at 800-590-3564 or email us for personalized assistance, or you can use the product selection wizard below to help determine the best solution for your needs.